The New York Times published a story Saturday that attempts to advance the narrative that the Trump administration has created a Wild West free-for-all on federal lands by leasing acreage at a breakneck pace while working “hand in glove” with the oil and natural gas industry to scale back regulations. But a close review of publically available Bureau of Land Management (BLM) data completely obliterates the article’s base premise, showing federal leasing and permitting was higher during the Obama administration’s first term than it has been since the Trump administration took over. 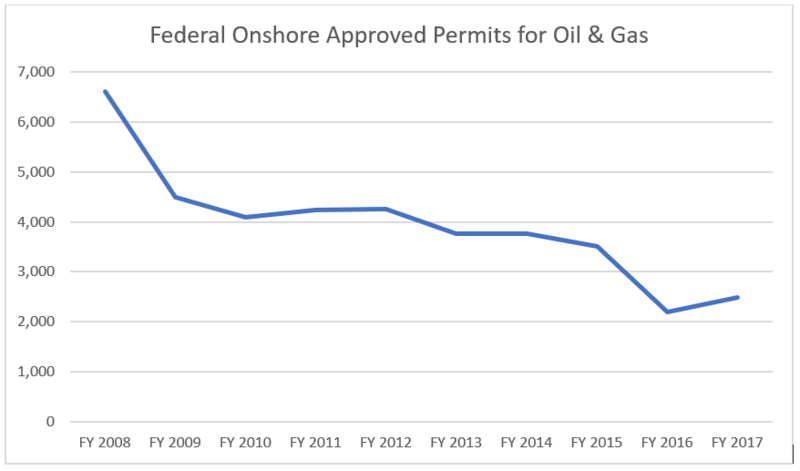 The BLM data actually show the Trump administration has merely set federal leasing and drilling permitting back on a decidedly ordinary course following a steep decline during the final years of the Obama administration. 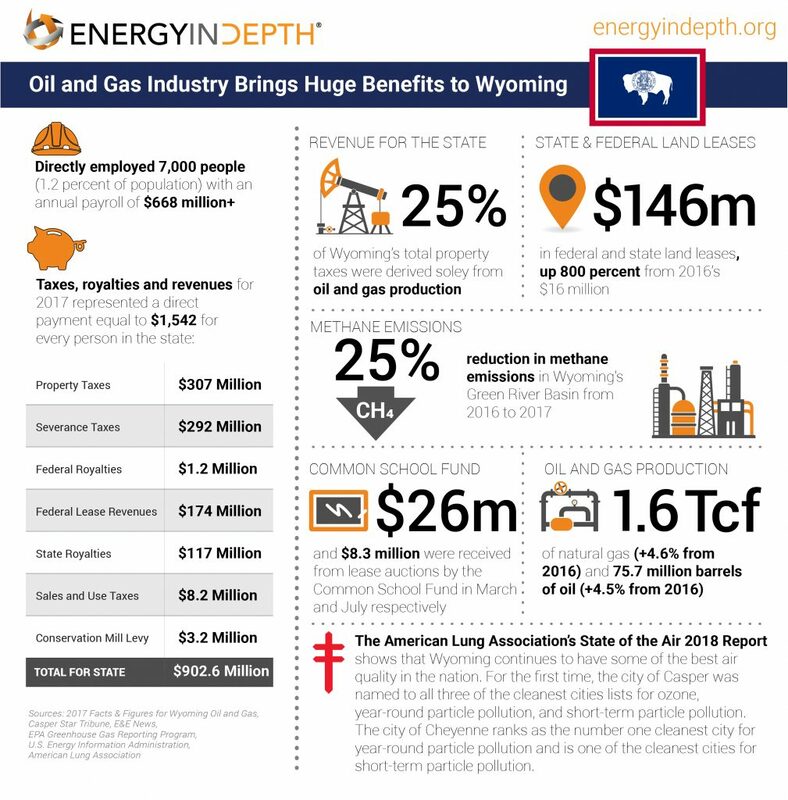 And contrary to some characterizations made in the piece, which focuses largely on Wyoming, there is no evidence that the increased oil and gas activity in the Cowboy State has yielded increased health and environmental impacts. Here are the most egregious claims and characterizations made in the story, followed by the facts. But the fact remains that the Obama administration actually leased more acreage in each year of its first term than the Trump administration has in 2017 and 2018. In reality, there is nothing out of the ordinary at all about the current acreage being leased. According to the New York Times, 1.35 million acres of federal land has been leased this year. Compare that to BLM data showing that the Obama administration leased 1.9 million acres in 2009, 1.35 million acres in 2010, two million acres in 2011 and 1.75 million acres in 2012 – outpacing the Trump administration’s 2017 and 2018 leasing totals each year. 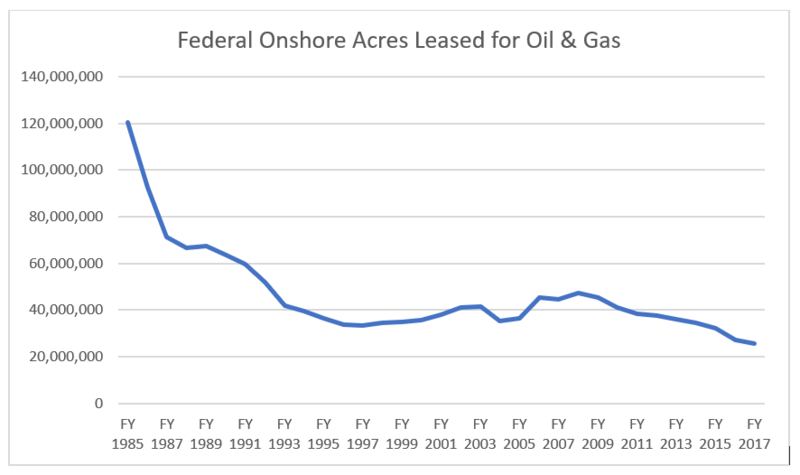 For more perspective, federal leasing during the last year of the Bush administration in 2008 (2.6 million acres) was nearly double what has been leased this year, and leasing data dating all the way back to the Reagan administration shows that the Trump administration’s leasing acreage totals are comparatively low. Leasing data from Wyoming doesn’t fit the New York Times’ narrative, either. 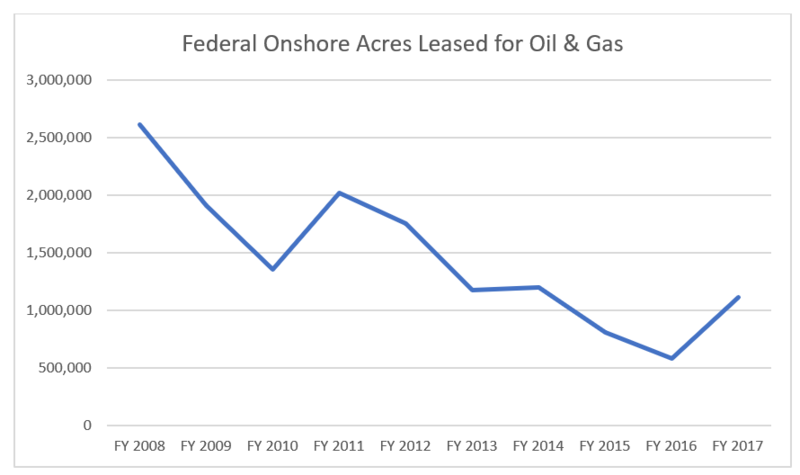 The above charts clearly show that the Trump administration has merely set federal leasing back on a normal course after leasing fell off the table during the final two years of the Obama administration due to “policy decisions,” as the New York Times puts it. But the fact that the BLM had a backlog of more than 2,800 drilling applications as of Jan. 31, 2016, provides clear evidence that the BLM permitting and approval process was terribly inefficient during the latter years of the Obama administration, leaving “Keep It In the Ground” groups whose ultimate goal is stopping development on federal lands as the only satisfied party. But federal leases and permits are now processed in a timely manner – as is required by law – and “Keep It In the Ground” delay tactics are proving less successful thanks largely to common sense policy corrections. For example, the previous administration’s failure to conduct quarterly lease sales as required by the Mineral Leasing Act no doubt contributed to the fact that oil and natural gas production on federal lands was stagnant when compared to booming production on private lands during the early years of the shale revolution, an outcome that adversely impacts states such as Wyoming that rely heavily on revenue generated by mineral development on federal lands (more details on that in a bit). Experts from both sides of the political aisle have also long agreed that the National Environmental Policy Act’s (NEPA) environmental review process, intended to be procedural in nature when Congress enacted the law 50 years ago, has become far too cumbersome. “Keep It In the Ground” groups have exploited NEPA’s vague and open-ended language to repeatedly stall development via frivolous environmental assessment lawsuits that can delay projects anywhere from five to 10 years. Essentially, the BLM has felt compelled to “gold plate” its environmental reviews – a time consuming process in its own right – followed by inevitable legal challenges that stall projects indefinitely. Put another way, the Trump administration’s desire to speed up the federal oil and gas development process is not unprecedented and not partisan in nature. Similar to what federal leasing data under the Trump administration reveal, it could actually be argued that the current administration’s actions have simply steered policy from a direction that kowtowed to the “Keep It In the Ground” movement’s goal of curtailing oil and gas development on public lands altogether to a more common sense set of policies that actually allow development to occur at levels observed in the recent past. However, the New York Times ignores the fact that the Obama administration opted to reject an Endangered Species Act (ESA) listing of the greater sage grouse in favor of ongoing conservation efforts at the state level. Why? Because state-level collaboration with the industry largely contributed to sage grouse populations improving significantly in recent years, while excessive federal restrictions have done little to protect the species. The Western Association of Fish & Wildlife Agencies’ (WAFWA) 2015 update shows a 63 percent increase in the sage-grouse population from 2013 to 2015, with a total breeding population of 424,645. The New York Times also fails to mention that the industry has worked hand in hand with state and federal regulators to conserve greater sage-grouse habitat. For instance, operators have increasingly used equipment that mirror the surrounding environment and limit visual disturbances that may interrupt local species. Increased use of horizontal drilling and multi-well pad development also greatly diminishes the number of wells required to produce the same amount of energy. And when drilling and completion operations are completed, oil and gas producers execute rigorous reclamation plans to ensure well pad areas are restored to their original states. The population growth these regional-level efforts have yielded have nothing to do with excessive federal rules that were part of the Obama administration’s 2015 decision, which included a 3.1-mile buffer zone that the Trump administration is now moving to scale back. Similarly, environmental groups’ push to have sage grouse listed under the Endangered Species Act (ESA) would likely do nothing to actually protect the species. Contrary to conventional wisdom, “Keep It In the Ground” groups have actually used the ESA as a means to stop oil and gas development rather than protect wildlife. The numbers pretty much tell the tale. Of the 141 ESA lawsuits that were filed between 2005 and 2015, 79 percent were filed by environmental groups as “psychological warfare,” according to the Center for Biological Diversity, a term used to describe environmental groups’ true objectives with regard to the ESA. Several U.S. Fish and Wildlife Service (FWS) officials agree the strategy does nothing to actually protect endangered species, as evidenced by the fact that the ESA has just a two percent species recovery rate. Not only does the New York Times fail to report that Wyoming has its own state regulation on venting and flaring and methane emissions, it also fails to convey that the BLM has no authority to regulate air quality – just one reason the Obama-era version of the BLM venting and flaring rule was scaled back by the Trump administration. Though Wyoming’s state regulation is less stringent than the expensive and duplicative Obama federal rule that would have effectively banned the use of flaring entirely – shutting in numerous marginal wells and driving small operators out of business in the process – the Trump administration’s revisions also allow Wyoming to impose its own version of the rule in the future if it so chooses. Air quality on federal lands is also already regulated by the EPA. Furthermore, the latest data from the U.S. Environmental Protection Agency’s (EPA) Greenhouse Gas Reporting Program show that methane emissions from both of Wyoming’s major oil and natural gas basins are declining dramatically. EPA data show that production site methane emissions from the Powder River Basin declined 34 percent from 2016 to 2017, decreasing more than 50,000 metric tons CO2 equivalent (eq.). Emissions from gathering and boosting stations declined 39 percent, dropping more than 104,000 metric tons CO2 eq. Green River production site and gathering and boosting equipment emissions dropped a combined 25 percent, declining 780,000 metric tons CO2 eq. Specifically, the most recent ALA “State of the Air” report shows that for the first time, the city of Casper was named to all three of the cleanest cities lists for ozone, year-round particle pollution, and short-term particle pollution. The city of Cheyenne ranks as the number one cleanest city for year-round particle pollution and is one of the cleanest cities for short-term particle pollution. Though Lipton spends much of his article painting a less-than-flattering and misleading picture of the oil and gas industry’s development on federal lands in Wyoming, he does correctly note that the industry brings an essential financial windfall to the state. We couldn’t agree more, with a few of the more notable contributions highlighted in the following infographic. Total annual revenue from federal oil and gas development in the state topped $900 million last year. 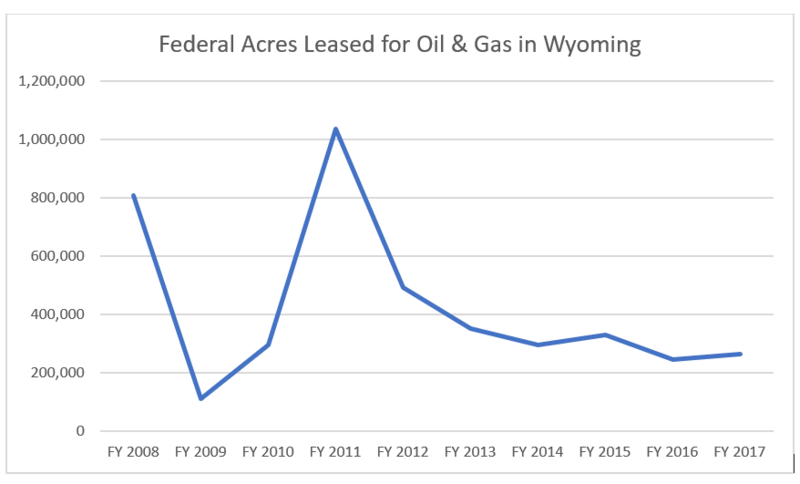 Lease sale revenues totaling $146 million that were up 800 percent in 2017 compared to 2016 levels should go a long way toward addressing Wyoming’s $700 million budget gap due to the retreat of oil and gas leasing during Obama years. As Campbell County, Wyo. County Commissioner Mark Christensen testified during a U.S. House Natural Resources hearing earlier this year, this revenue is especially crucial to funding public education in the state. Wyoming’s first lease sale this year netted $8.3 million in funding for public schools, and common school fund revenues from federal land development topped $26 million last year. As Christensen noted during his testimony, Wyoming’s K-12 school system is experiencing budget woes to the tune of a $400 million deficit. That deficit can largely be traced to policies that all but curtailed new oil and gas development on federal lands throughout the western United States during the final years of the Obama administration. Fortunately, those revenues are on the upswing due to common sense policies that have allowed leasing and development to trend upward. And contrary to claims made in this New York Times article, this uptick is anything but a wild-west scenario that is coming at the expense of public health and the environment.